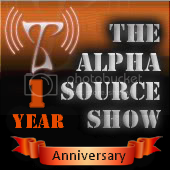 Alpha Source is turning 1 year at the end of January 2012. To celebrate this occasion we are preparing special show that will go on air on last weekend of January 2012. We have about 10 hours of special music!! to make it more exciting we would like to ask our listeners to record a short message and send us a WAV file. We will play your messages on air during the show. It can be anything: a congratulations, a hurray! or a question that we will answer! don’t be shy to record even a presentation of your project like " Hi this is <your artist name> and I like listening Triplag Radio!" happy to go on AIR! All my best, life is crazy here! Next time for sure Thank you alpha source! we have more than 10 hours of special sets for this show! Please note show will not be available for online streaming and download as we did with our previous issues of the Alpha Source shows. Is it Alpha in the mix atm? YES!! I want a link too dangit! Fresh sounds from KZ labs - his live set on Alpha Source Show 29 Jan 2012!